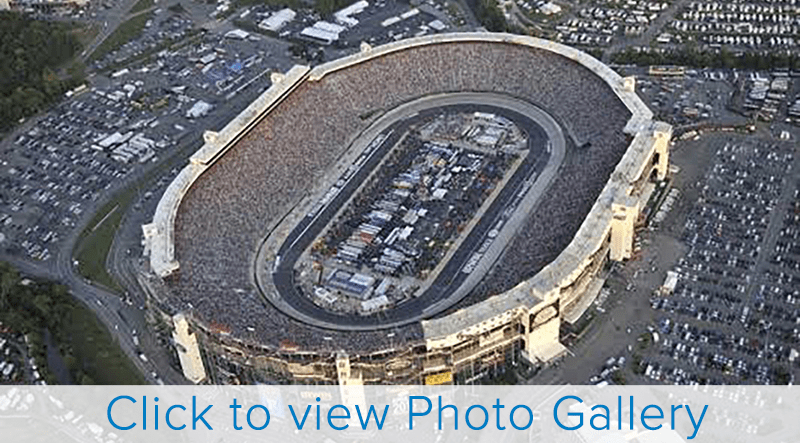 Bristol Motor Speedway chooses FiberTite® for complex roofing needs. Originally constructed in 1961, this track has seen its share of large scale events. Best known to NASCAR fans for its annual August night race, the Bristol Motor Speedway is also known for something else in the roofing world; the facility is protected by FiberTite. Bristol Motor Speedway is renowned for putting on memorable productions. They also require excellence from their vendors. Therefore, it is understandable they have chosen Summit BSR Roofing and FiberTite to meet their roofing needs since 1997. Summit BSR is a commercial roofing contractor based in Bristol, Tennessee, with a major branch office and warehouse in Mt. Holly, North Carolina. Summit has been installing superior single ply roof membranes for over 35 years. Fibertite is the pride of single ply roof systems they offer to customers. Please visit www.summitbsr.com or contact them at 1-800-235-0878 for more information. Since 1979, FiberTite single ply roof membranes have earned a track record of providing long-lasting protection in the harshest environments. Upon its introduction, FiberTite set a new standard in membrane roofing with its unique four-layer technology, which includes a high density base fabric, an exclusive adhesive coat, and face and back coats engineered with the industry’s only proven amount of Elvaloy® KEE, which allows FiberTite to remain flexible throughout its life. For more information about FiberTite Roof Systems please call Seaman Corporation at 800-927-8578, or contact us here.